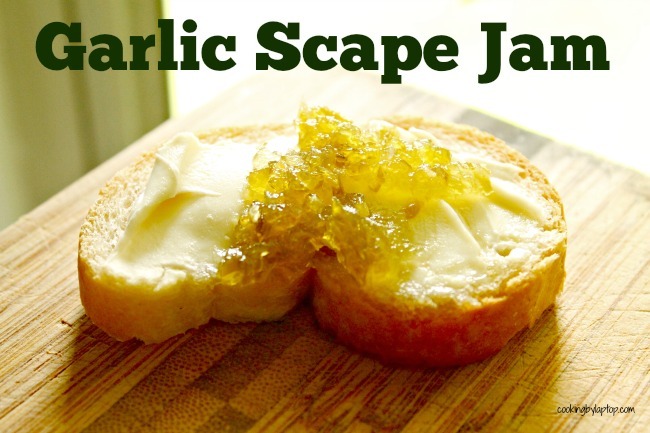 Garlic Scape Jam Plus a Giveaway! Scapes! Scapes! Scapes! I’m obsessed. Every year I look forward to early June, when the Scapes are in season at the Farmer’s Market. I buy handfuls and then come home and turn them into pesto. The season is short, so I usually go back every week until they are gone just to snag more. With ice cube trays full of frozen pesto now safely stowed in the freezer, I started thinking about other things I could do with scapes. Last year, I’d tried making a jam, but it failed miserably. I added a couple more fails to that count this year, but I finally hit on the right recipe. The idea for this jam is more along the lines of a red pepper jelly–combining sweet, along with spicy, the tang of the vinegar, and, in this case, garlicky goodness. 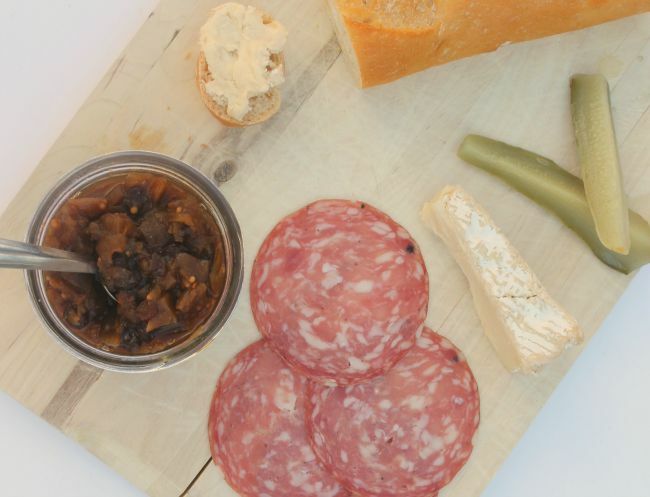 I’d serve Garlic Scape Jam atop a baguette or crackers and cream cheese or brie. 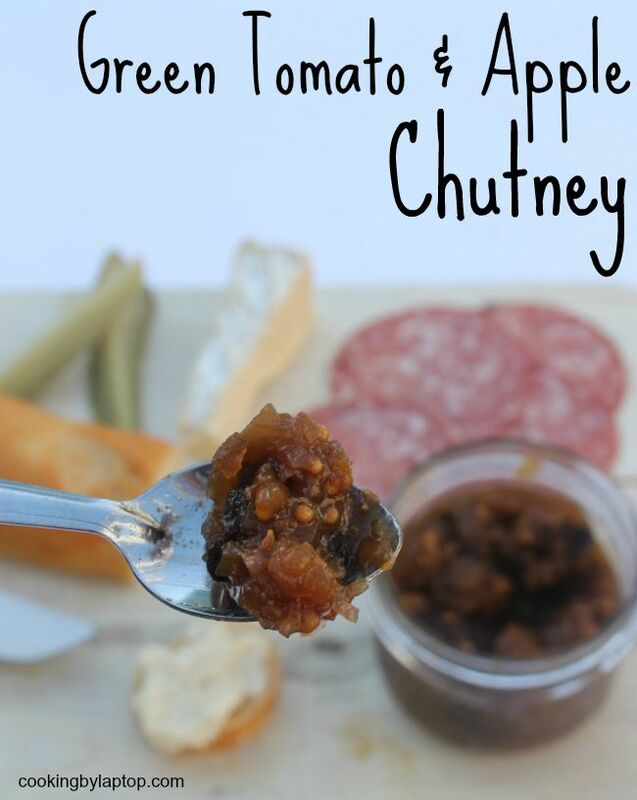 It brings a savoury element and pairs nicely with the softness of the cheese. I think this would also be killer to serve with any grilled meats. Try including it in your favourite glaze recipe (many glazes call for jam or preserves) to finish off grilled chicken, pork or steak. The sweet-savory with the hint of garlic really, really rocks. I have one of these awesome home canning kits from Bernardin, and they sent me another one, so I thought I’d give it away to one of you so you can make your own Garlic Scape Jam or whatever you like! To win: in the comments section below, tell me what you’d make with your new canning kit. Place 6 clean 250 ml mason jars on a rack in a boiling water canner; cover jars with water and heat to a simmer (180°F/82°C). Set screw bands aside. Heat SNAP LID® sealing discs in hot water, not boiling (180°F/82°C). Keep jars and sealing discs hot until ready to use. Chop up the scapes into manageable 2″ sections, and put them in the blender. Blend the crap out of them until they are nicely pureed. Place them in a large, heavy-bottomed, stainless steel pot. Repeat the same process (pureeing) with the green peppers, and add them to the pot as well, including any liquid that results from the blending. Now add the vinegar and the sugar (and the hot pepper if you are using), and stir everything well to mix. 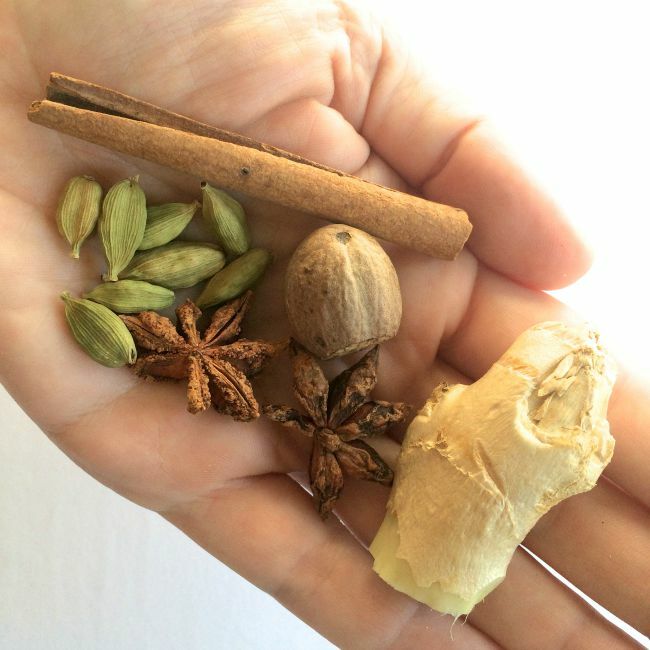 Bring to a boil and allow to slow boil for 10 minutes. Add the pectin, and hard boil for one minute to thicken. Using the funnel, ladle jam into hot jar to within 1/4 inch (0.5 cm) of top of jar (headspace). Using the air bubble tool, remove air bubbles and adjust headspace, if required, by adding more jam. Wipe jar rim removing any food residue. Using your magnetic lid lifter, pull a lid out of the hot water, and centre hot sealing disc on clean jar rim. Screw band down until resistance is met, then increase to fingertip tight. Return filled jar to rack in canner. Repeat for remaining jam. When processing time is complete, turn stove off, remove canner lid, wait 5 minutes, then remove jars without tilting and place them upright on a protected work surface. Cool upright, undisturbed 24 hours; DO NOT RETIGHTEN screw bands (listen for the “pop”s! It’s the most satisfying sound in the world!). After cooling check jar seals. Sealed lids curve downward and do not move when pressed. Remove screw bands; wipe and dry bands and jars. Store screw bands separately or replace loosely on jars, as desired. Label and store jars in a cool, dark place. For best quality, use home canned foods within one year. Check out my other canning and preserving recipes here.